January 23, 2019 – Under the patronage of His Royal Highness Prince Mishaal Bin Majid bin Abdulaziz Al Saud, Governor of Jeddah, the Jeddah Centre for Forums and Events is set to host the 16th edition of the Saudi Plastic and Petrochemical Exhibition, organized by Riyadh Exhibition Company. The event, taking place from 27-30 January 2019, will host industry leaders from the Kingdom, the region and around the world as they discuss the latest developments related to the plastics and petrochemical industries at local, regional and international levels. The exhibition, supported by both government and private sectors, is strategically important as it provides an ideal platform to enable local companies to establish a base for the petrochemical and manufacturing industries in the Kingdom, which aims to enhance the production and export of petrochemicals on a global scale over the next few years in line with “Saudi Vision 2030”. The exhibition is being seen as a bridge that aims to connect senior officials, decision-makers, pioneers, and regional and international experts together to further explore the potential prospects being offered in the field of Saudi petrochemicals and plastics. This year's edition of the event is being sponsored by SABIC as Diamond Sponsor, Saudi Industrial Development Fund (Industrial Empowerment Sponsor), Royal Commission for Jubail and Yanbu (Industry Supporting Partner) and Invest Saudi (Supporting Bodies). The Saudi government is also looking to harness the strengths of the vital sector in the development of high-value industrial products, in line with plans to promote the growth and diversification of the national economy. 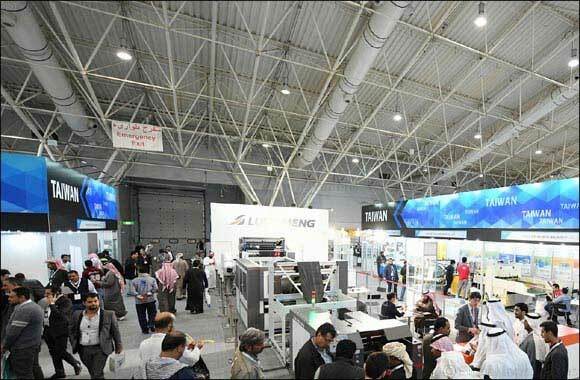 The event is scheduled to coincide with the 16th edition of the Saudi Printing & Packaging Exhibition, which enables Saudi companies to access the latest technologies, services and products related to packaging and printing, offering an exceptional opportunity for international leaders to enter the promising Saudi market. A significant increase in presence and participation is expected following the success of the 2018 edition.